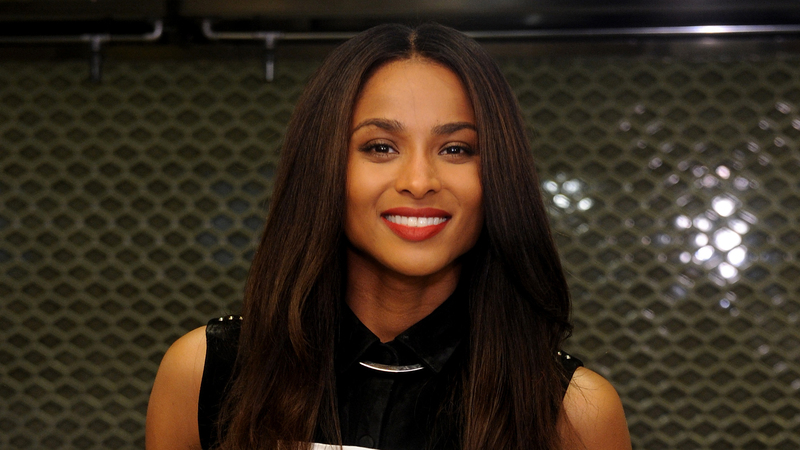 Ciara has a mission for this upcoming holiday season, and it's pretty straightforward: to share a meal. The Grammy-winning singer is partnering with Unilever and Feeding America to "Share A Meal" in an effort to end child hunger. "I'm very blessed, and I'm thankful for my blessings. And sometimes you just don't realize how privileged you are just to be able to eat," she told CBS News. That's why she's encouraging people to social the hashtag #ShareAMeal on Twitter or Instagram. Every time that happens, Unilever will donate one meal to Feeding America, a nationwide network of 200 food banks that leads the fight against hunger in the United States. Ciara says being mother to son Future Zahir, who was born in May 2014, was part of the inspiration behind getting involved. "I've honestly felt like it's the best job. Being an entertainer is awesome, but being a mom -- is maybe a little cooler," she said. It's safe to say Ciara is enjoying life these days. In addition to being a new(ish) mom, she has a new album out and a new beau in her life: Seattle Seahawks quarterback Russell Wilson. On teaming with Share a Meal: "I've always had a strong love and a sense of care for kids. And the one thing is evident and is so true -- the kids are our future. And with me being a mom now I really relate to this differently -- and much more. It's really real to me the idea of a child not having a meal. It's heartbreaking. It's always a time of need for kids who are less fortunate, but also this time of year is a time of love and it's a time of giving. This couldn't be a more exciting opportunity for me to be a part of and to really help provide a child with a meal." On being a mom: "For me, being a mom it makes you selfless and makes you realize there's so much out there in the world. You think you have problems, but it's like, 'Really?' But don't sweat the small stuff. I'm such a perfectionist. I can be like, 'This has to be like this. And this, and this and this.' But then you realize a lot of things that you thought mattered, they really don't matter. Like is my child breathing? Yes. Is my child happy? Yes. Do we have a roof off of our heads? Yes ... It's totally changed my life I think for the better." On how else motherhood has changed her: "It's really put things in a much clearer perspective. When it comes to making decisions, I can make my decisions with clarity now and know that I have to think them all the way through. Having my son has changed my whole thought process in a necessary way. It also makes you grow up, too. There's so many beautiful things that have come from my relationship with my son." On her 2015 album, "Jackie": "Being a new mom, it was very fitting to title it 'Jackie' [named after her own mother]. Musically I was able to express my truest thoughts and the things that I really felt. And of course now with this whole new perspective I was able to pour that into music. I really believe it's my best album to date. I'm just truly proud of it. That's the whole inspiration behind this new album -- my whole life changing and this new chapter."